Chic and upscale best describe STK, the 8,300-square-foot international chain restaurant that recently opened in the Andaz San Diego hotel. Executive chef David Burke, formerly of Fleming’s Prime Steakhouse and Pacifica Del Mar, has rolled out a menu that focuses on numerous cuts of beef and various seafood, including oysters and ceviche. 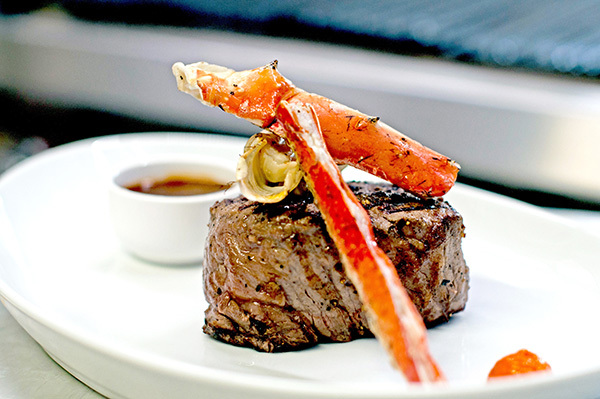 Other choices include herb-crusted rack of lamb, organic chicken, braised short ribs and more, all served amid stylish décor, theatrical lighting and a full cocktail bar. 600 F St., 619-354-5988, togrp.com. The fifth annual No Borders Ceviche Showdown on Aug. 12 at 57 Degrees wine bar near Downtown brings together restaurants from San Diego and areas south of the border as they compete for the people’s choice award as well as top honors from a panel of judges. Participants from San Diego include Indigo Grill from Little Italy, plus the Old Town Tequila Factory, Old Town Mexican Cafe, and Tidal Restaurant in Mission Bay. They’ll be joined by Villa Saverios and El Baj Americano, both of Tijuana, and 240 Grill and Koipai Cocina, each from Ensenada. 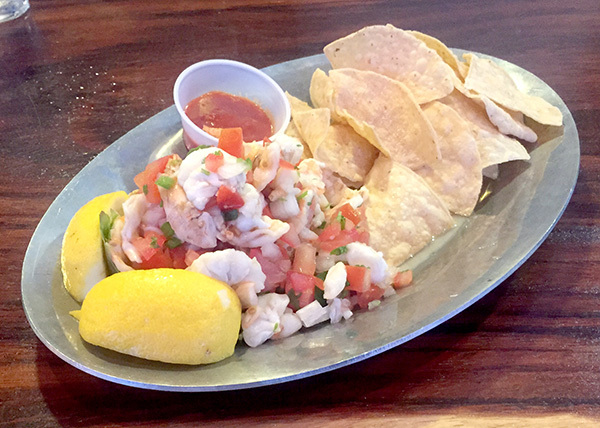 The event, to be held from 1 to 4 p.m., is an opportunity for competitors to dole out samples of their latest and greatest ceviche. Tickets are $29 in advance and $39 at the door. They include the ceviche tastings and a voting ballot. 1735 Hancock St., 619-234-5760, fiftysevendegrees.com. 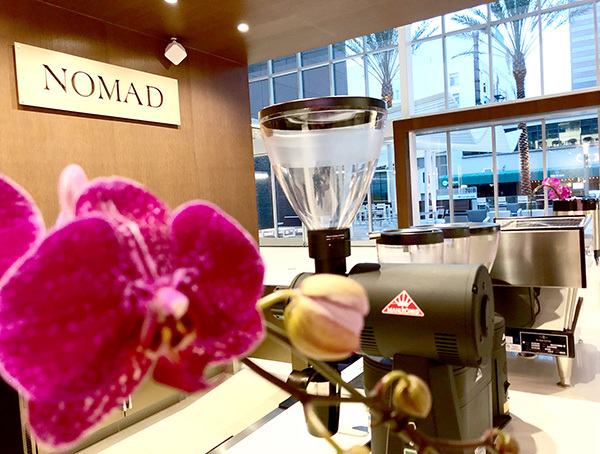 Nomad Donuts in North Park has opened Nomad Coffee Bar in Downtown’s Bank of America Building. It is centered in the site’s remodeled lobby and offers a smaller selection of donuts compared to the main location, from which the company’s house-made bagels also originate. The menu extends to salads, sandwiches and coffee drinks using beans from Sightglass in San Francisco. Nomad’s founder, Brad Keiller, said the offshoot came about with the support of a newly formed partnership with Legal Restaurants, a hospitality development group headed by local, veteran chef Antonio Friscia. He added that a similar concept might soon be in the works for “somewhere in North County.” 701 B St., nomaddonuts.com. 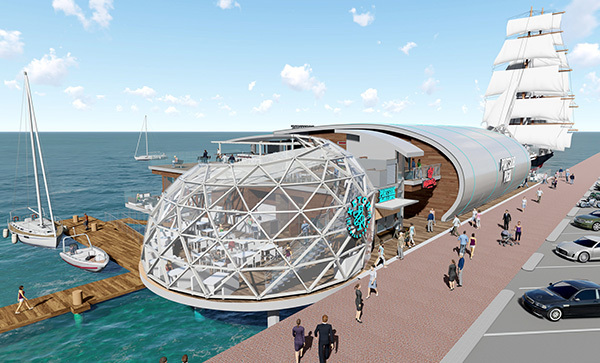 The long-awaited Portside Pier at North Embarcadero has broken ground in preparation for a gaggle of restaurants that will include Brigantine on the Bay and Miguel’s Cocina as the flagship kitchens. Both have existing locations in San Diego and are operated by Brigantine Inc. The $20 million bayside complex takes over the long-established plot that Anthony’s Fish Grotto occupied since the mid 1960s. It will feature a second-level viewing deck, plus docking slips that will allow boaters to dine on the property as well. Other vendors due to move in once the project is completed in mid-to-late 2019 are Ketch Grill & Taps and Portside Coffee and Gelato. 1360 N. Harbor Drive, brigantine.com. Look for an Aug. 25 opening of a tasting room and restaurant by Duck Foot Brewing Company, which sprung onto the craft beer scene three years ago in Mira Mesa. 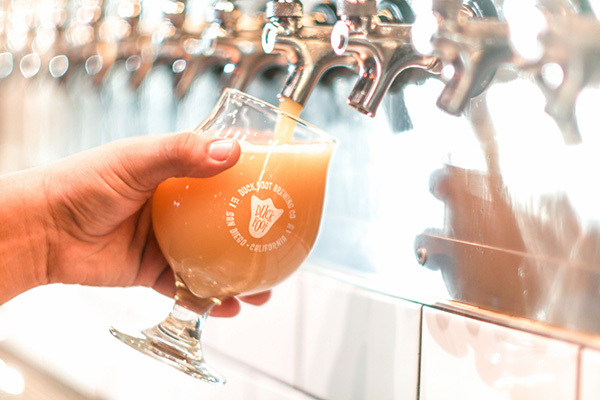 Known for its “gluten-reduced” line of beers, the project will feature 16 taps, some reserved for limited releases, and a restaurant flaunting an all-gluten-free menu spearheaded by consulting chef Stevan Novoa of Chef’s Roll San Diego. Under development are dishes such as cauliflower popcorn, broccoli salad with ginger and coconut; and poke with chili kewpie. The 1,500-square-foot project takes over the East Village space previously occupied by The Parlour. 550 Park Blvd., duckfootbeer.com. 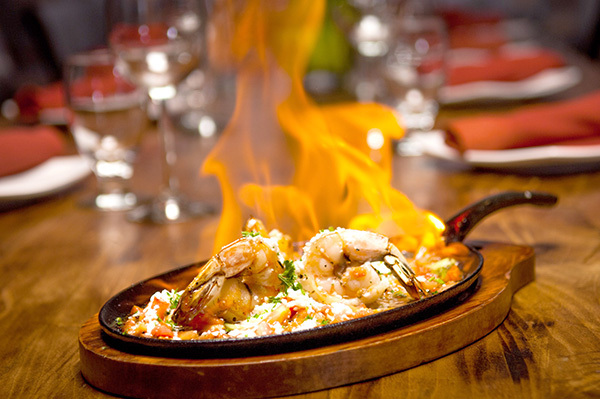 A dramatic Greek appetizer takes center stage every Sunday at Meze Greek Fusion, when the popular flaming cheese dish, known as saganaki, is half-off the regular price all day. The normal costs are $18 for the shrimp saganaki and $16 for the standard version. Either way, the tableside presentation involves kasseri cheese flambeed in brandy and then doused in lemon. It’s served with pita bread for dipping. The alluring promotion will continue “for the foreseeable future,” we’re told. 345 Sixth Ave., 619-550-1600, gaslmapmeze.com.